If you've never heard of activated charcoal before, it's easy to dismiss its medicinal properties--after all, the only charcoal product you may be familiar with is that found in your outdoor barbecue pit! But for thousands of years, people throughout the world have been taking charcoal as a supplement to remove toxins from the digestive tract, to alleviate indigestion, and to help treat poisonings. To those who understand its value, activated charcoal is a priceless, natural supplement. 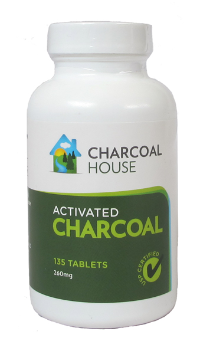 Here at BuyActivatedCharcoal.com, you'll find a comprehensive resource that describes many of the benefits of taking an activated charcoal supplement. And while this information is a worthwhile investment of your time, the real proof lies in our customers' stories. On the "Your Stories" page you'll find amazing testimonials about how an activated charcoal supplement has had a positive impact on someone's life. Hospitals around the world use activated charcoal regularly to treat poisonings and drug overdoses--and it's the same food-grade charcoal used in the activated charcoal supplements that we sell! Activated charcoal is also used in a variety of surgical settings, such as in the treating of wounds, liver dialysis, and breast cancer surgeries. The activated charcoal capsules and tablets that we sell are USP food-grade, making them safe and effective for consumption. In addition, we also sell granular charcoal, which is better used in the home and garden to remove odors, to decontaminate the soil, and as a natural insecticide. Browse through the website and you'll find the uses of activated charcoal are practically endless.